PETROG is the best tool for digital petrography data collection, management, analysis, presentation and sharing in the oil and gas industry. 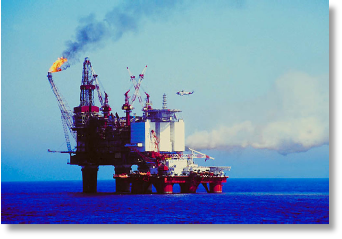 This software was developed with the co-operation of, and with design input from, the Statoil & Norsk Hydro petrographic units, because there was nothing available. Petrography was being left out of the digital age, and the science and practice of petrography was suffering as a result. Following our lead, there are now beginning to be other products available, although none come close to PETROG. This is not our judgement, it is the conclusion of oil companies such as Shell and researchers such as University of Texas at Austin: every comparative evaluation has ranked PETROG best in all categories: it is not only technically superior, it is cheaper as well. Core material is retrieved at great expense. It is needed both because we want to see for ourselves (i.e. ground-truth) that which otherwise we can only infer indirectly (by petrophysical logging, seismic survey, etc.) and because there are some things which can only be seen directly. Petrographic analysis is generally the only time a geologist looks at the rock to determine its composition. If we are only going to look at the rock once, we must do it right first time. All data is immediately stored digitally and in a hierarchical form. This means that the petrographer can describe ALL of what s/he sees at the sampling point on the slide, not have to second-guess how the data will later be used and structure a limited data collection system to capture only those relevant data elements. 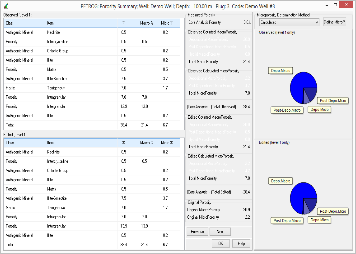 Once the data collection is complete, analysis is quick and simple, including all the tools one would expect, such as ternary plots, as both interactive exploratory or analytical tools on screen and high quality reporting tools for printing hard copy or creating digital displays. 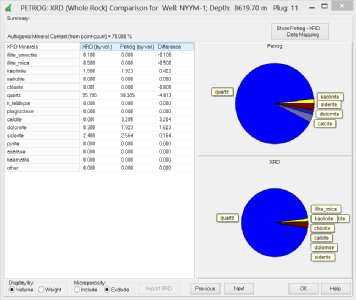 PETROG integrates Quantitative Textural Analysis and Quantitative Compositional Analysis and combines it with other data able to support the analysis: XRD, XRF, core analysis, etc. The Images are an Integral Part of the Story. The images collected during modal analysis are not only useful for reference or for QA but can also enhance the analysis in many ways, such as stitching them to make a composite which can be panned and zoomed to look at larger features. PETROG is the only system to integrate images and make them an integral part of petrography. Images are routinely used in general purpose image analysis software, but PETROG provides petrography-specific analyses, such as our patented colour-based discrimination method for porosity, carbonates etc. Mosaic, or stitched whole-slide and part-slide images are available to examine objects larger than a single field of view or to see an overview and decide whether patterns are present. Touchstone (TM Geocosm) analysis is supported, and the benefits of PETROG make it the tool of choice both for Touchstone consortium members and for service companies collecting data for consortium members.